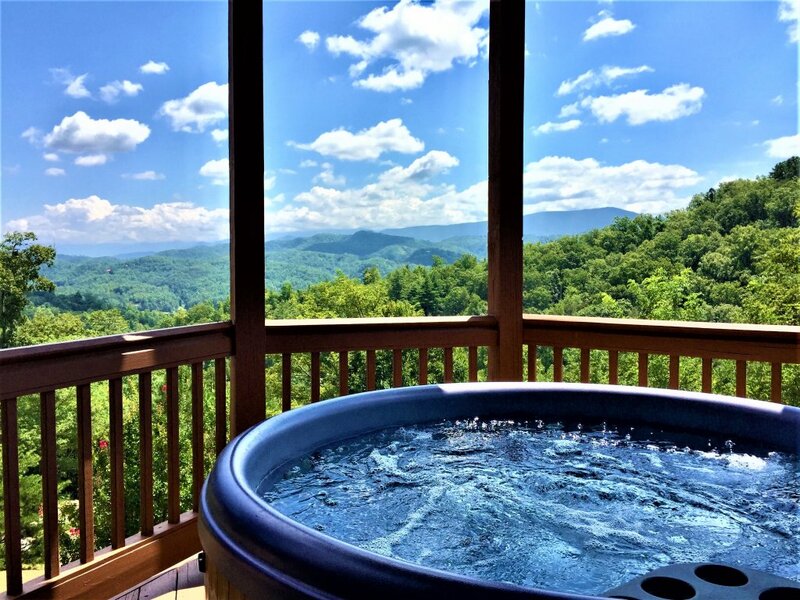 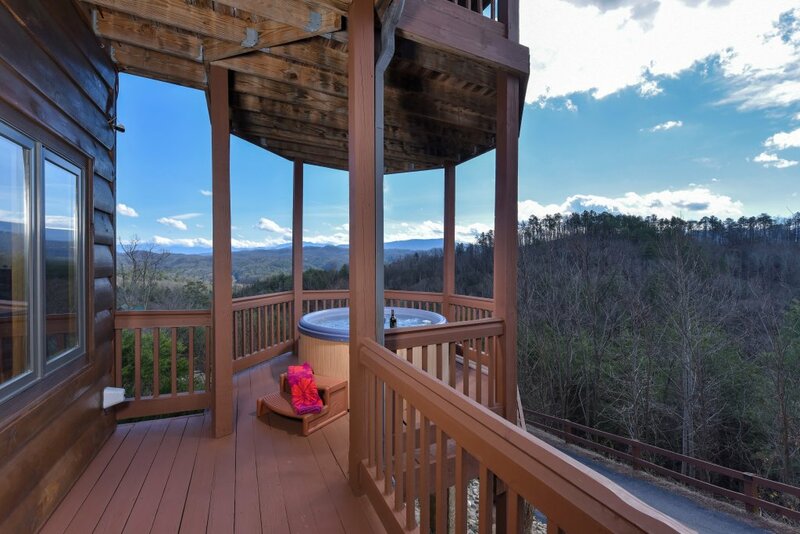 Splendor View Of The Smokies Above The Tree Tops!! 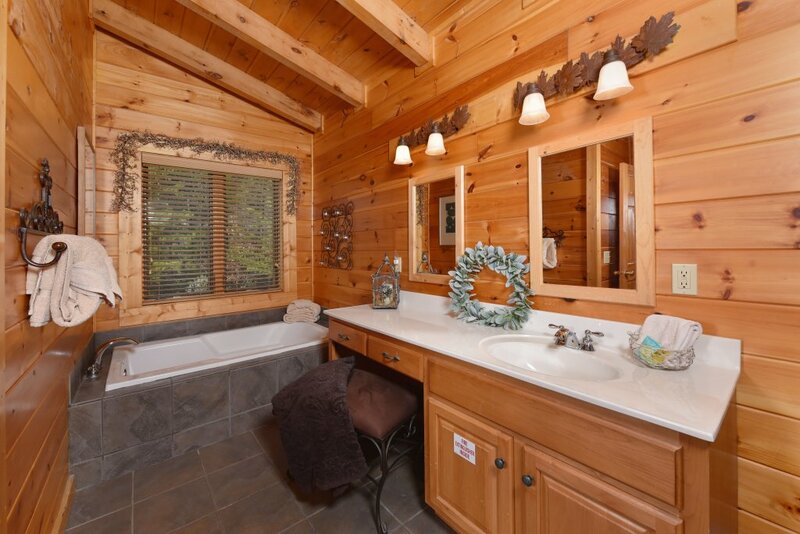 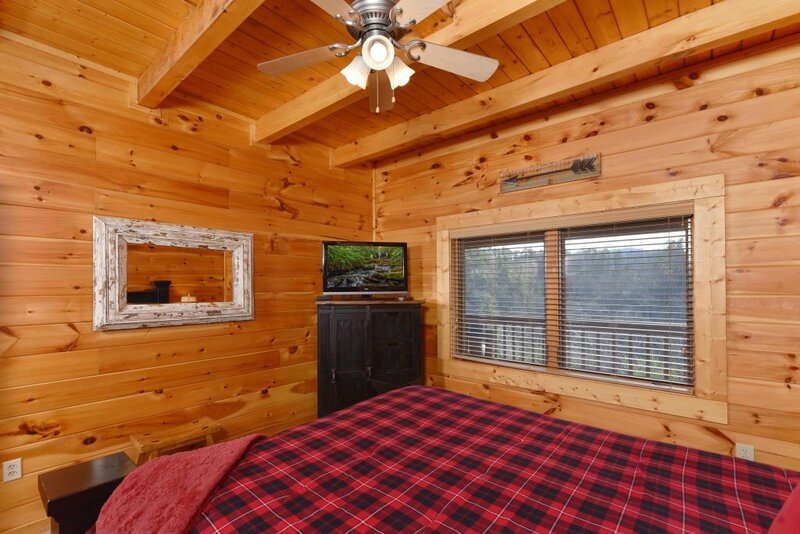 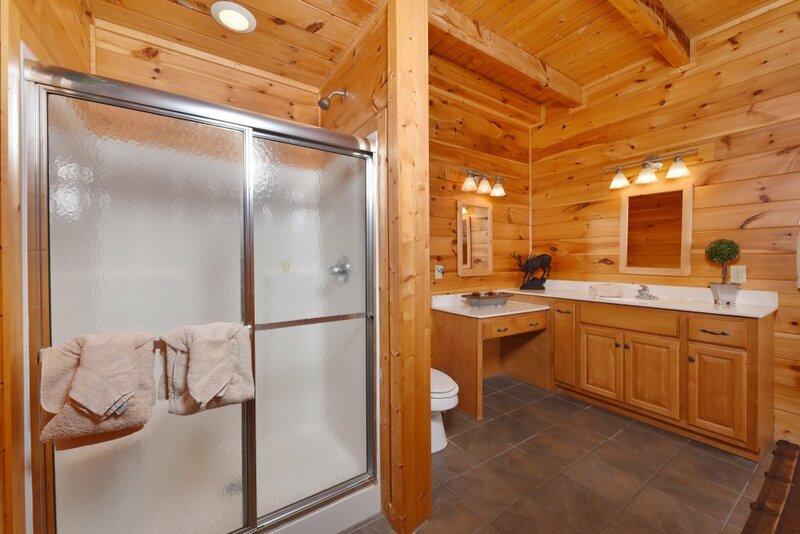 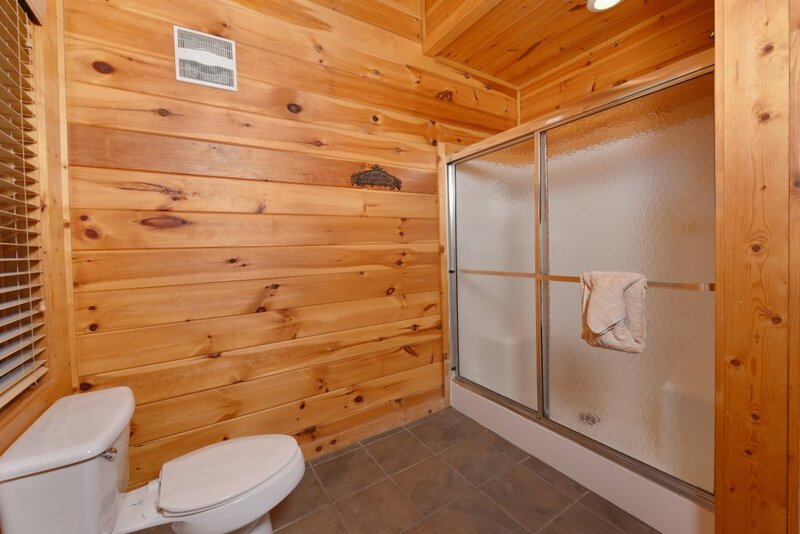 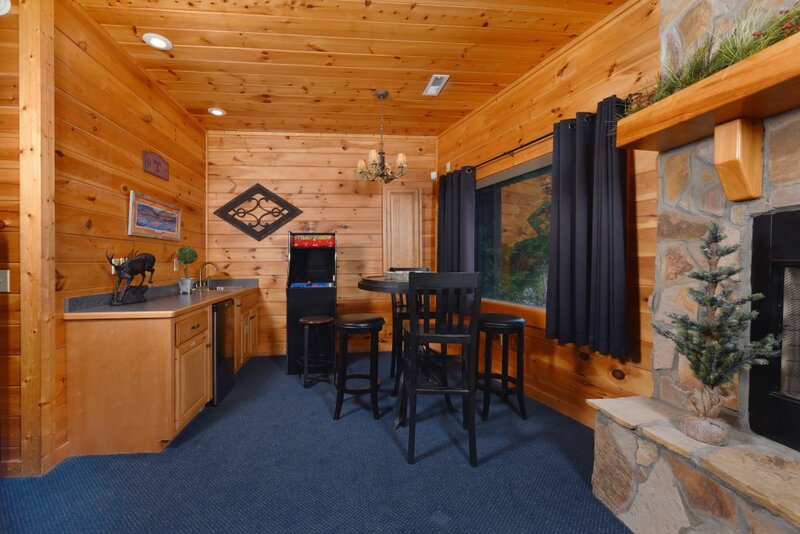 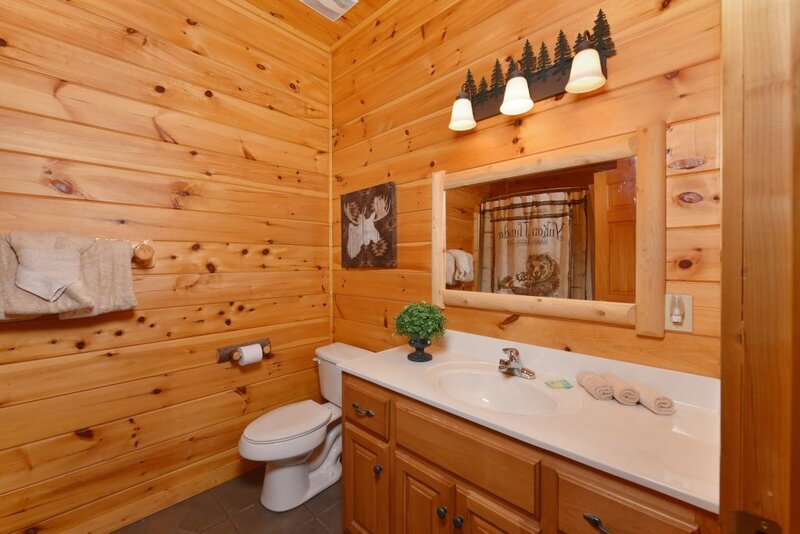 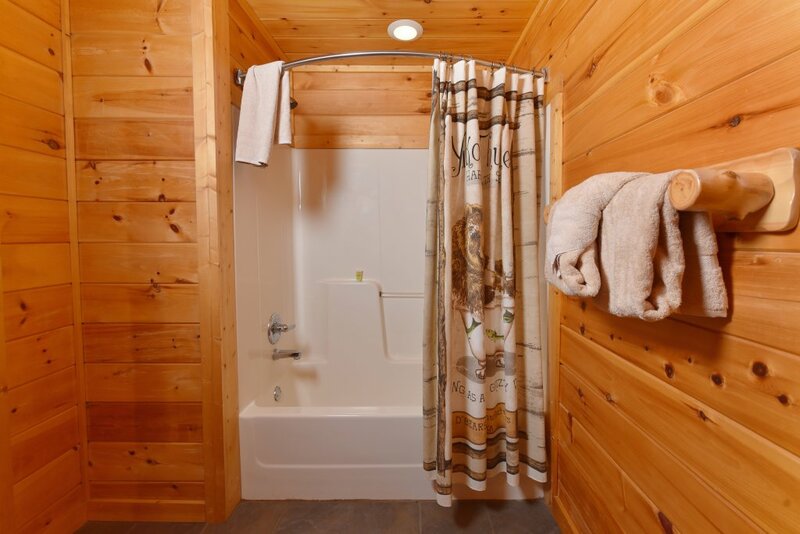 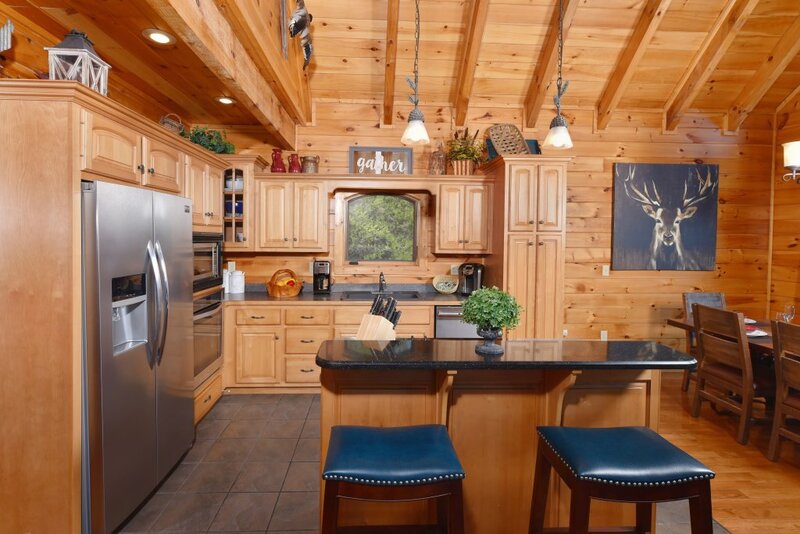 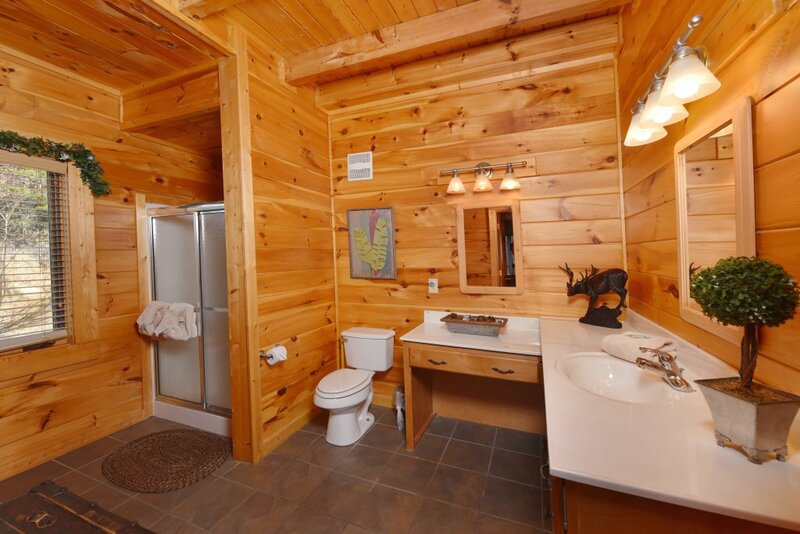 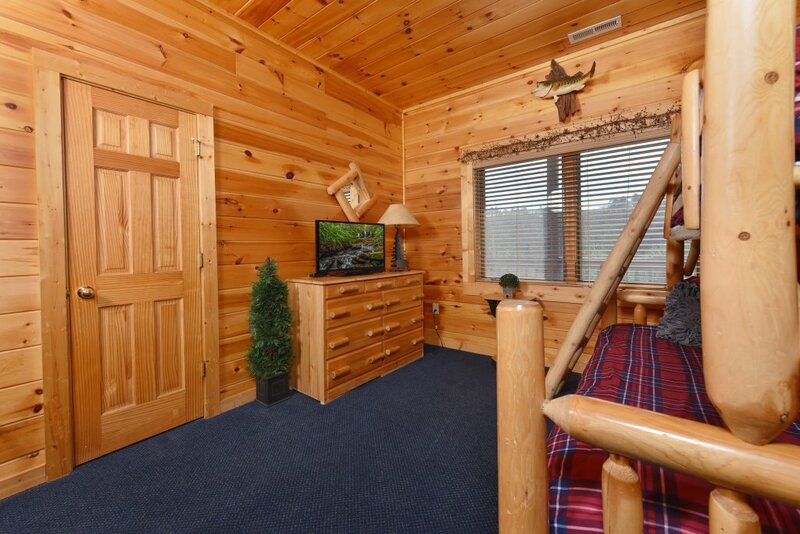 Mountain Splendor has always stood out among all the other cabins at the upscale Cedar Falls Resort. 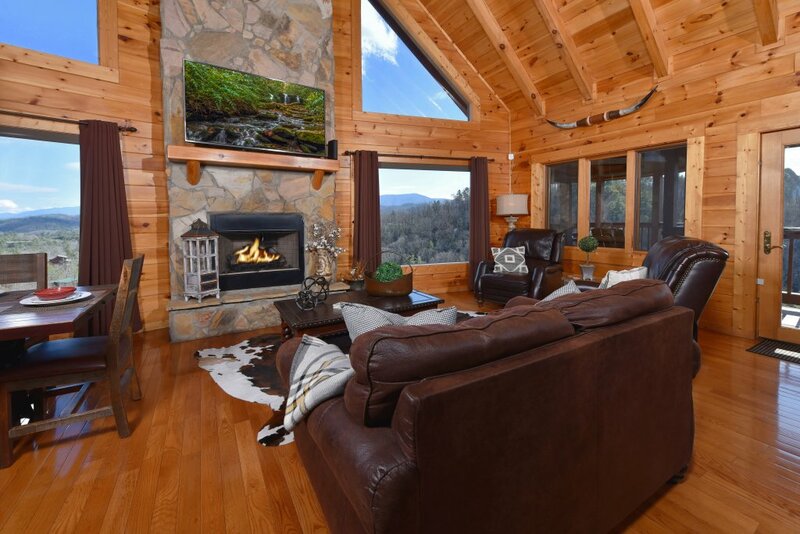 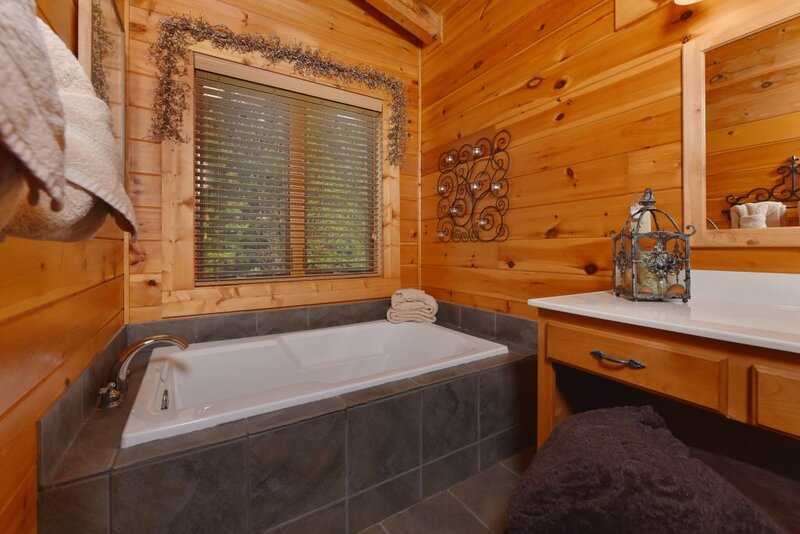 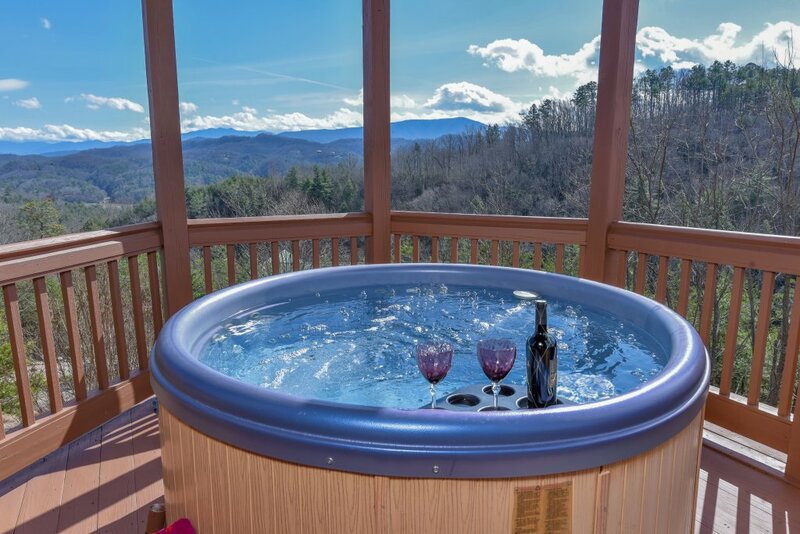 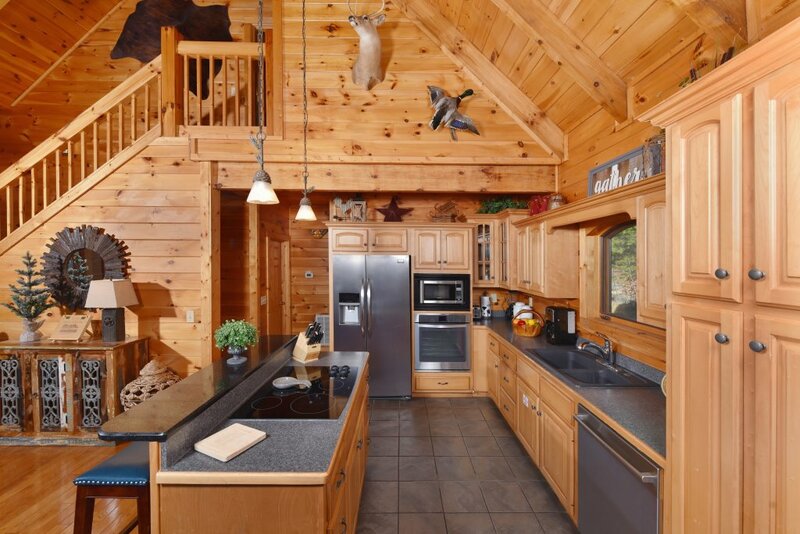 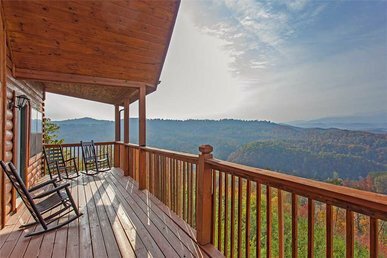 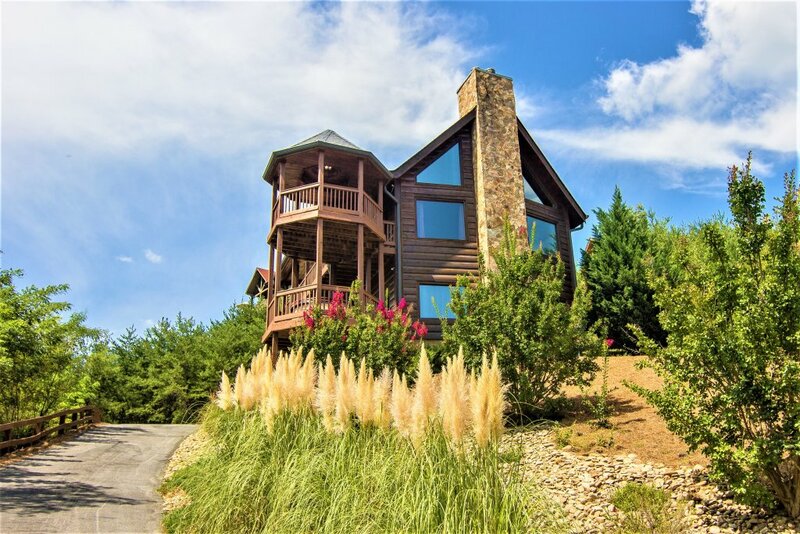 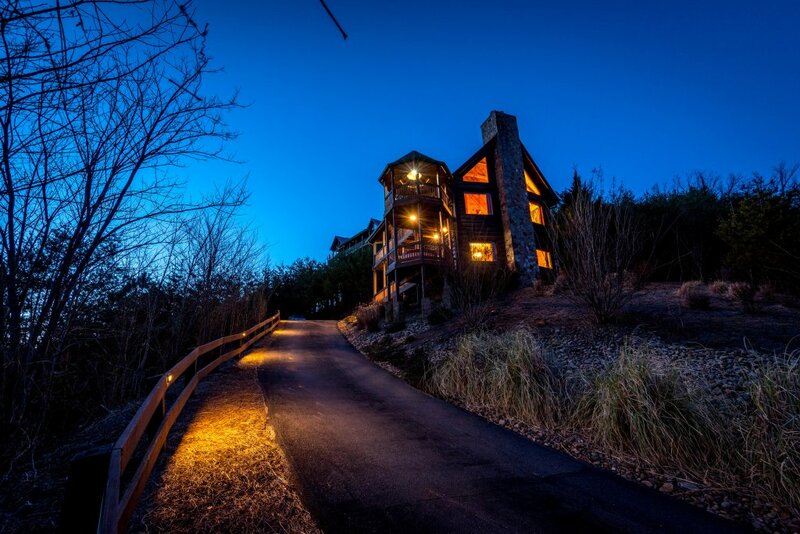 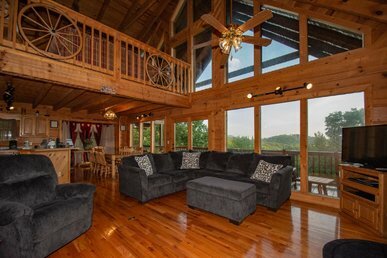 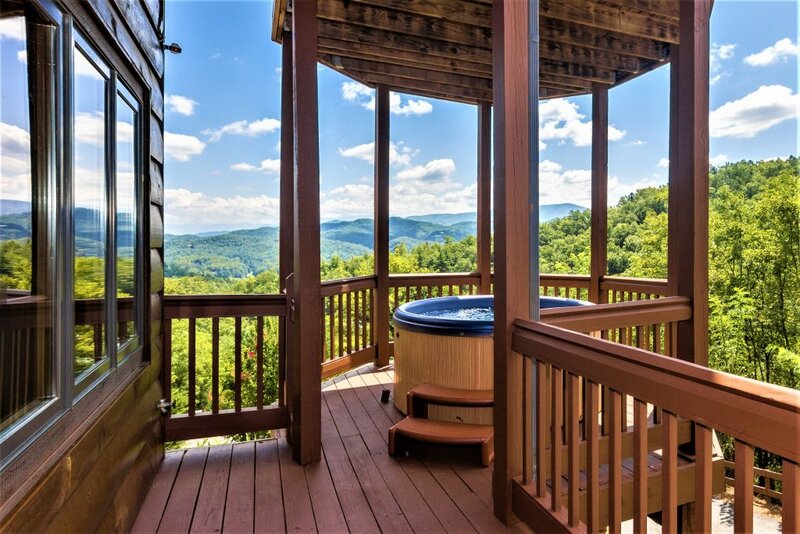 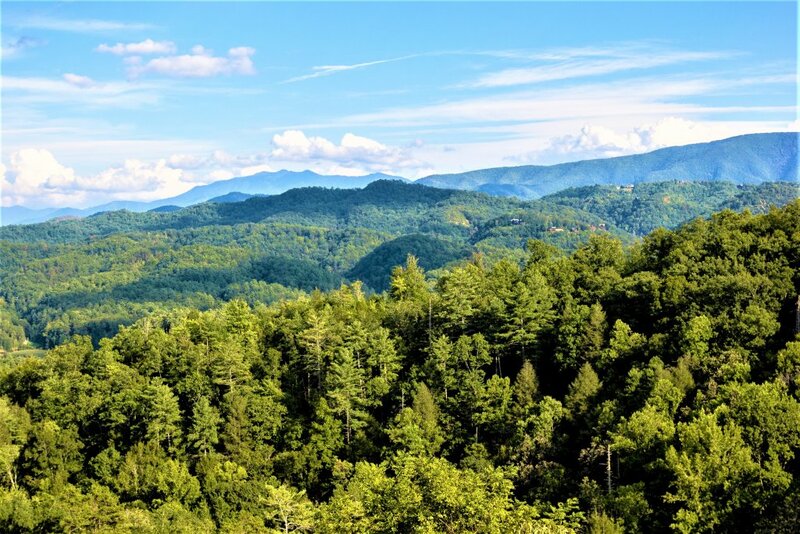 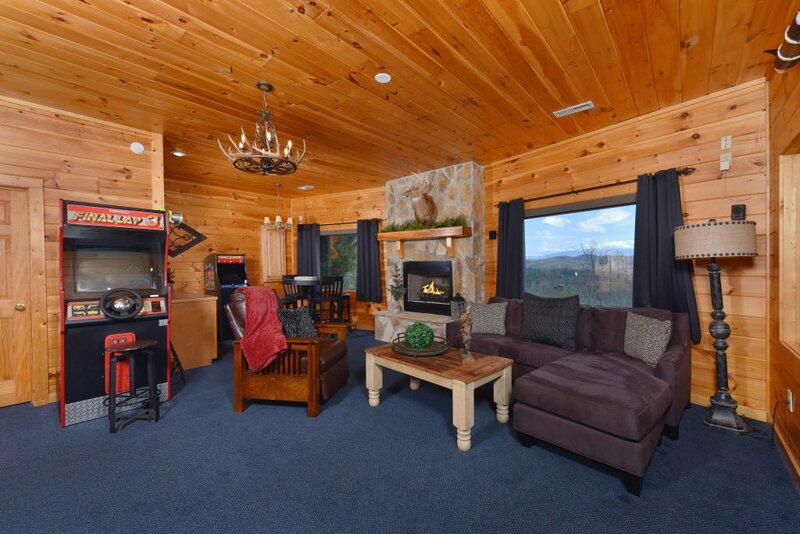 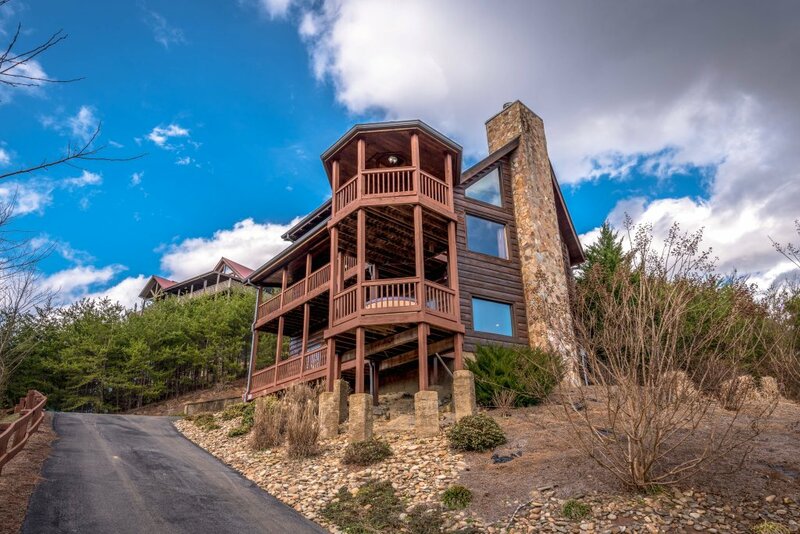 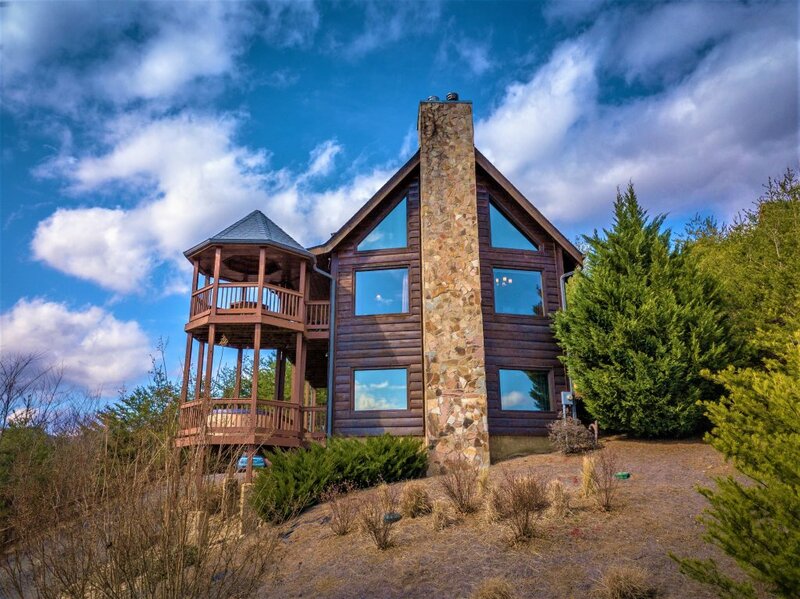 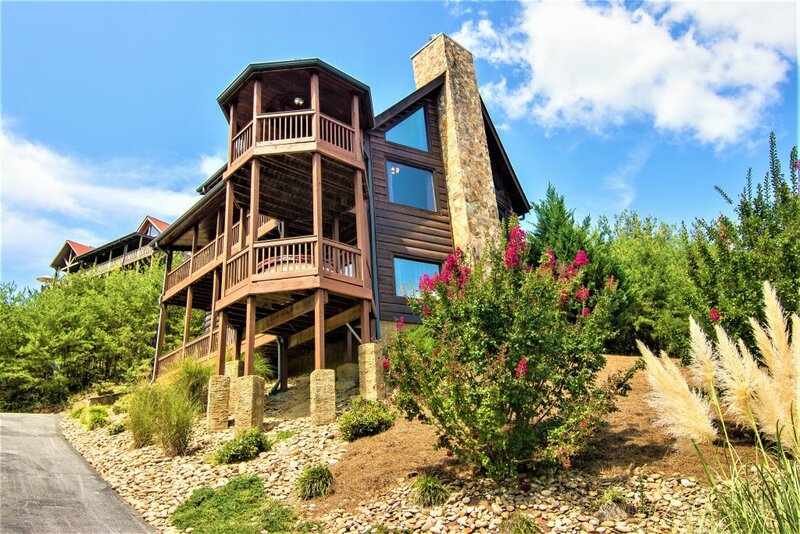 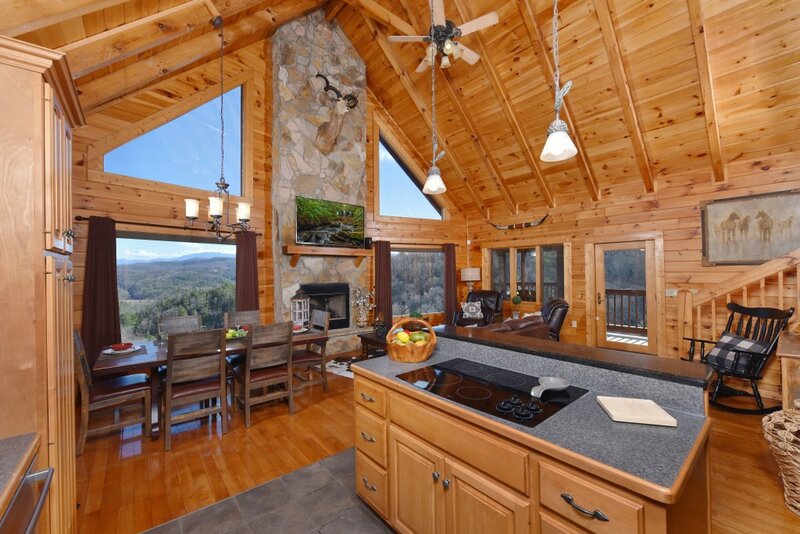 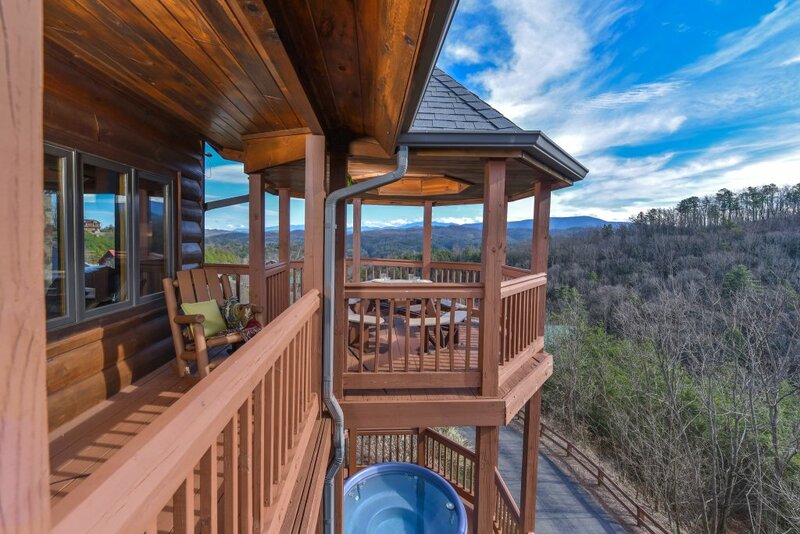 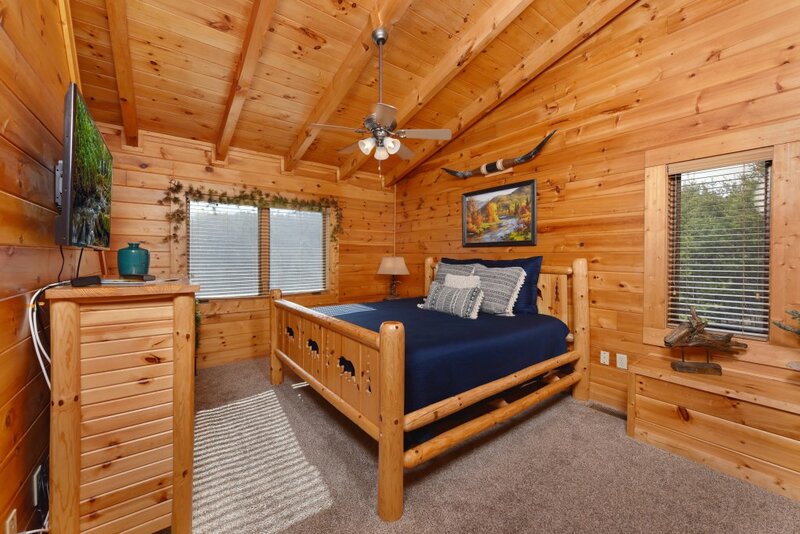 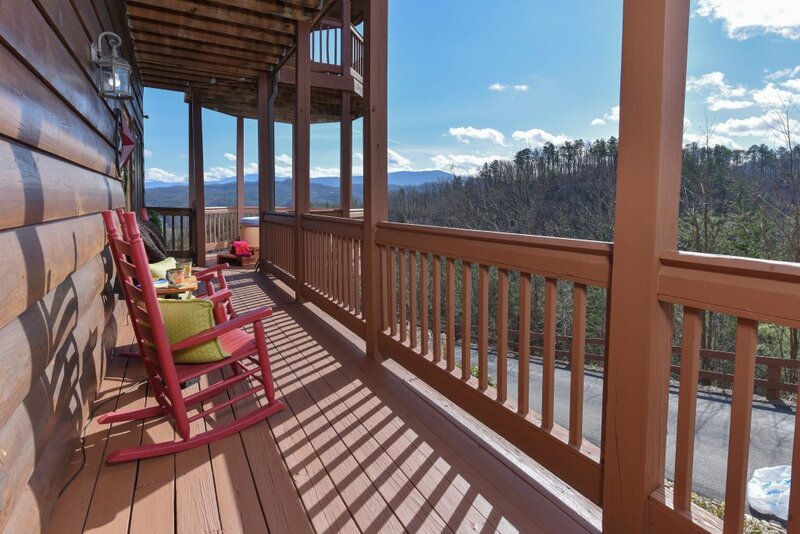 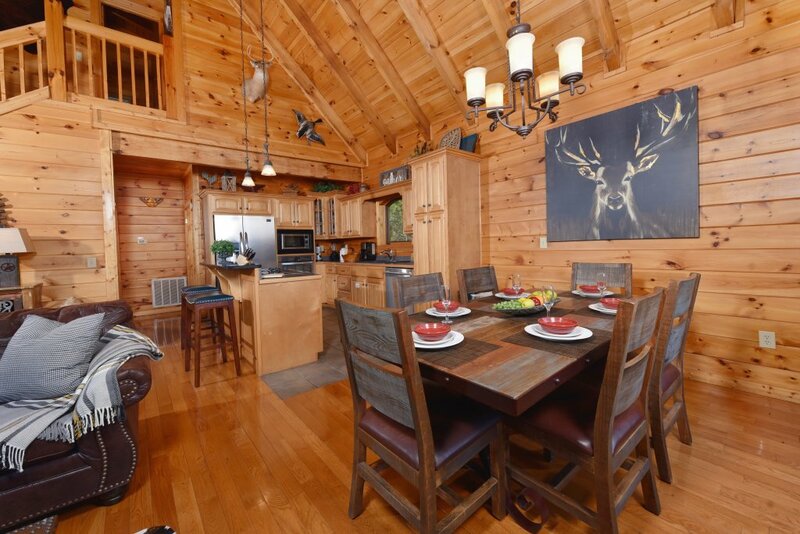 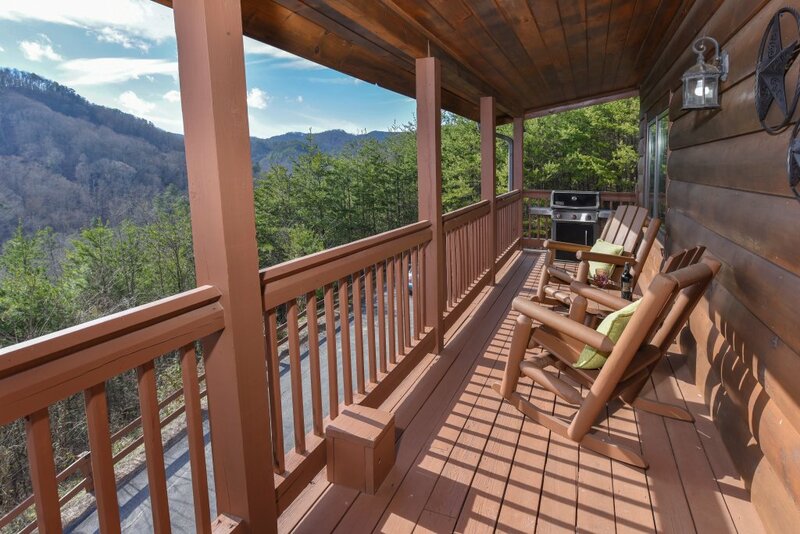 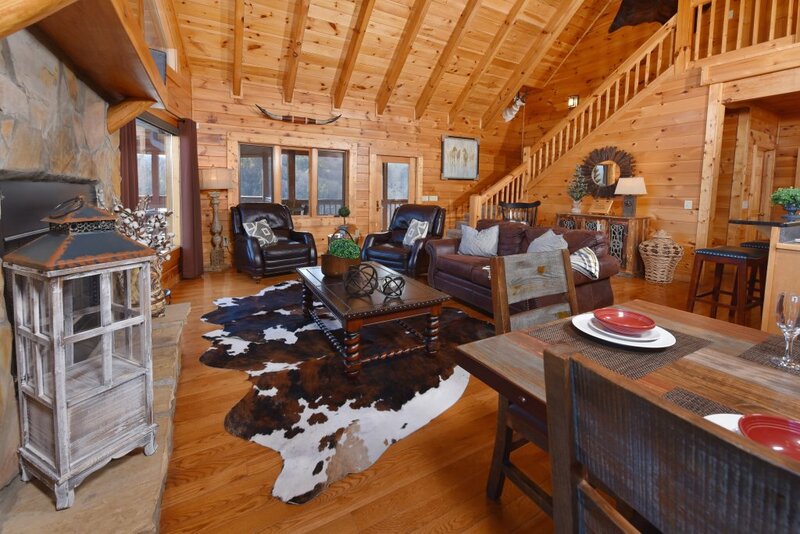 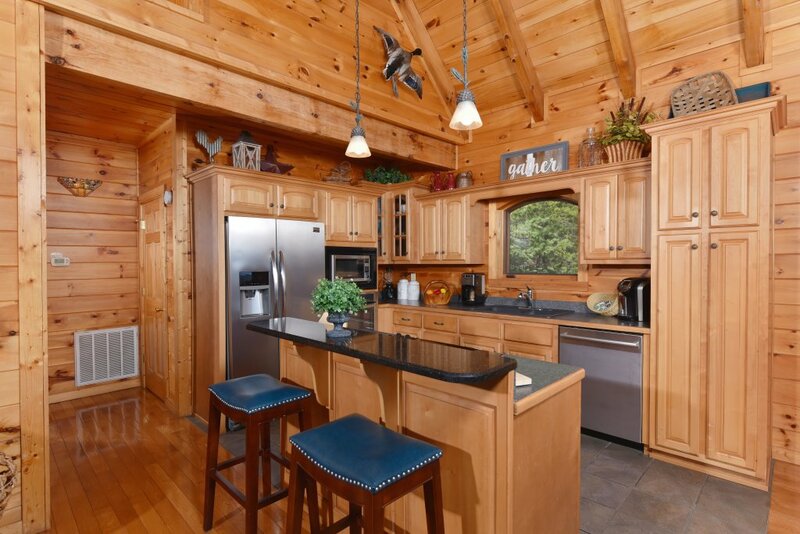 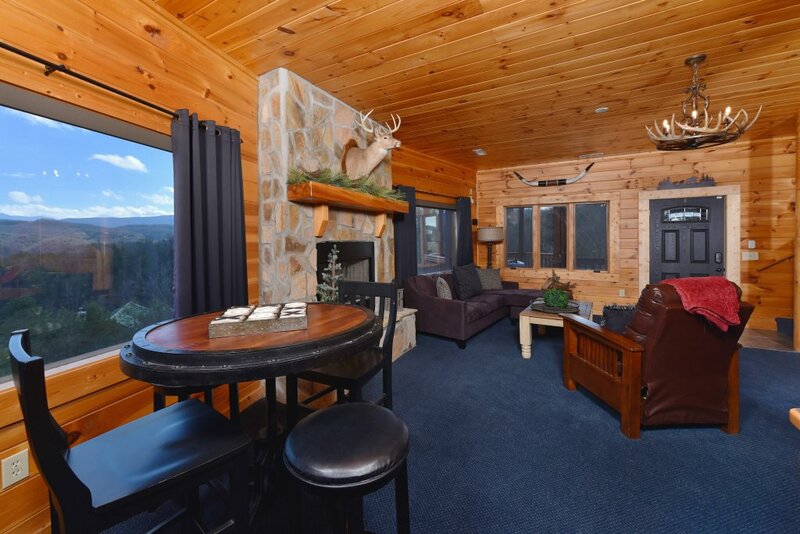 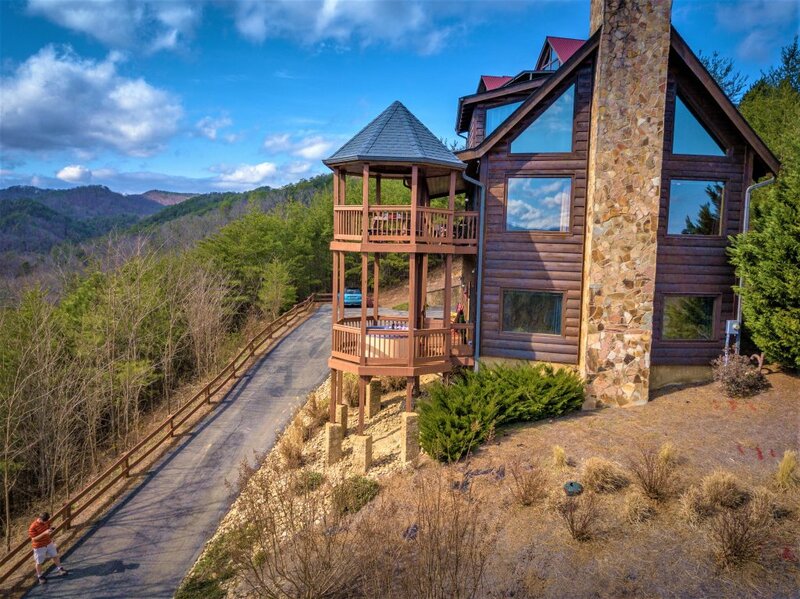 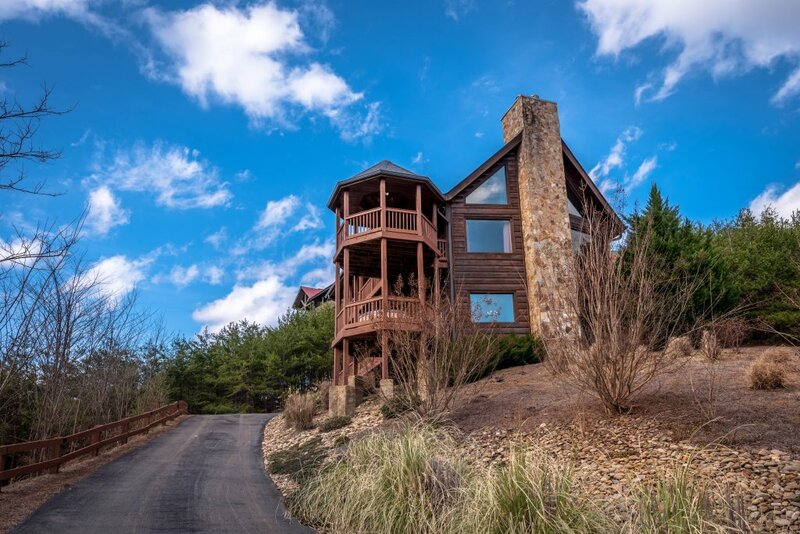 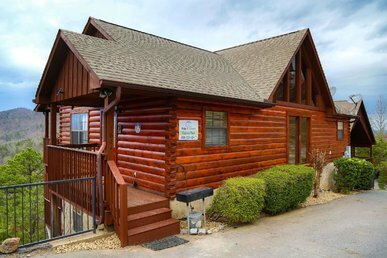 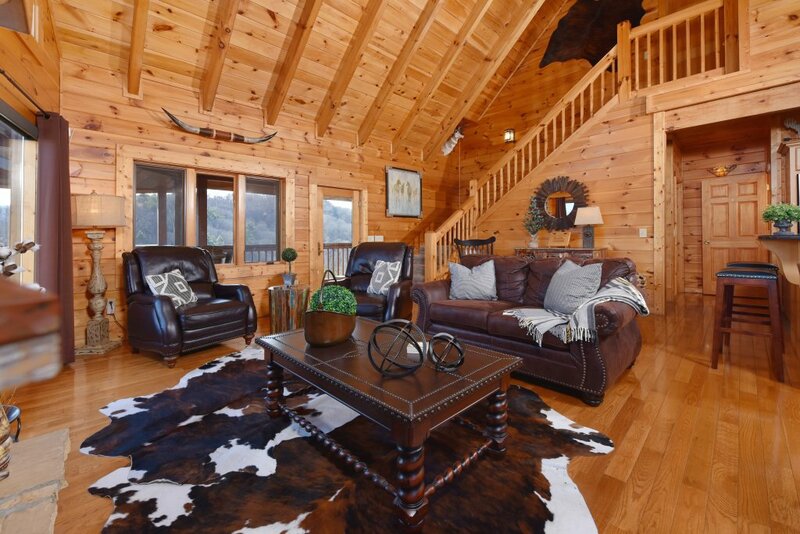 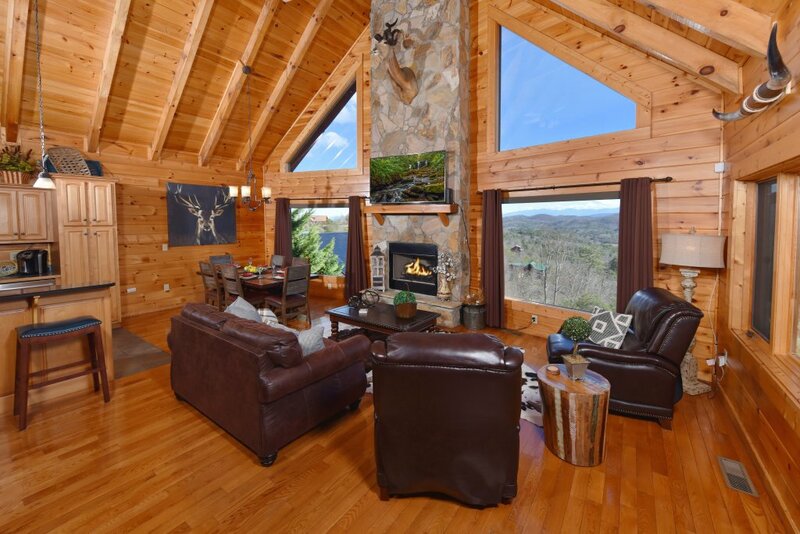 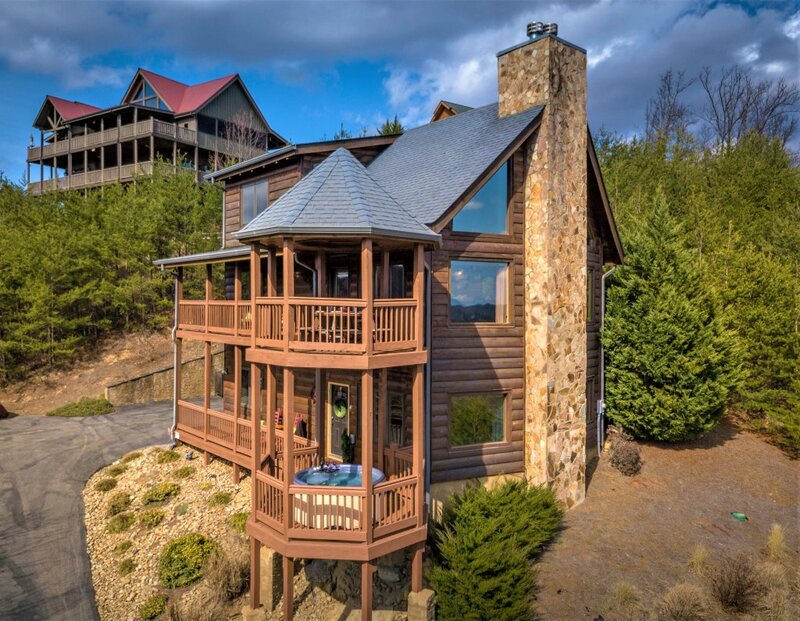 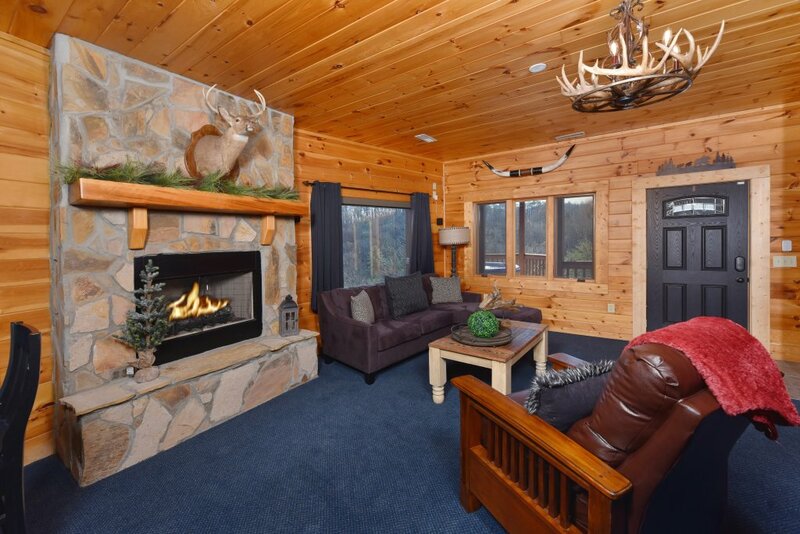 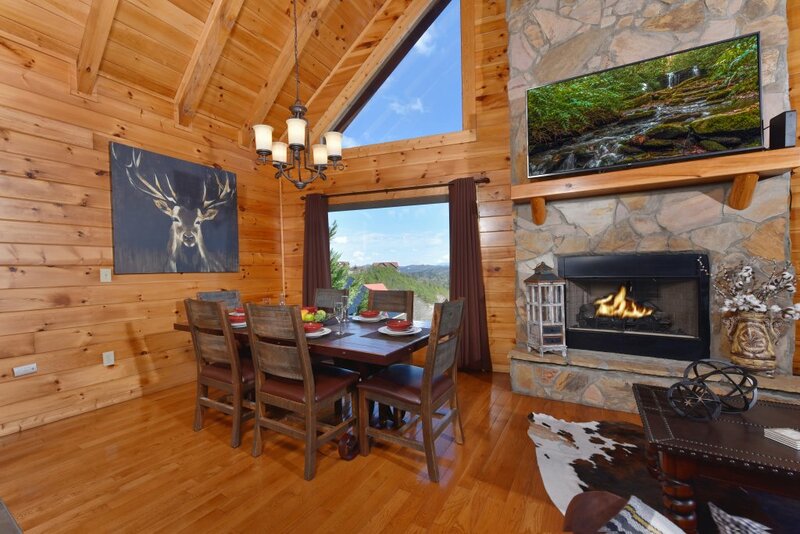 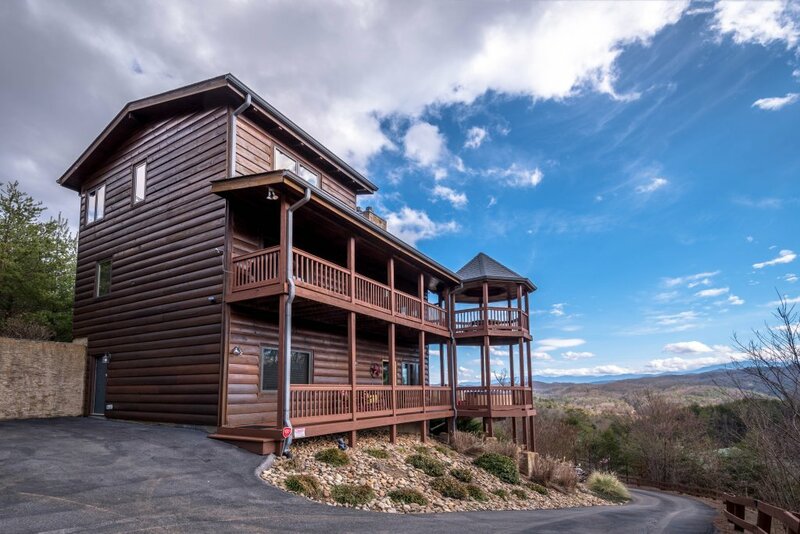 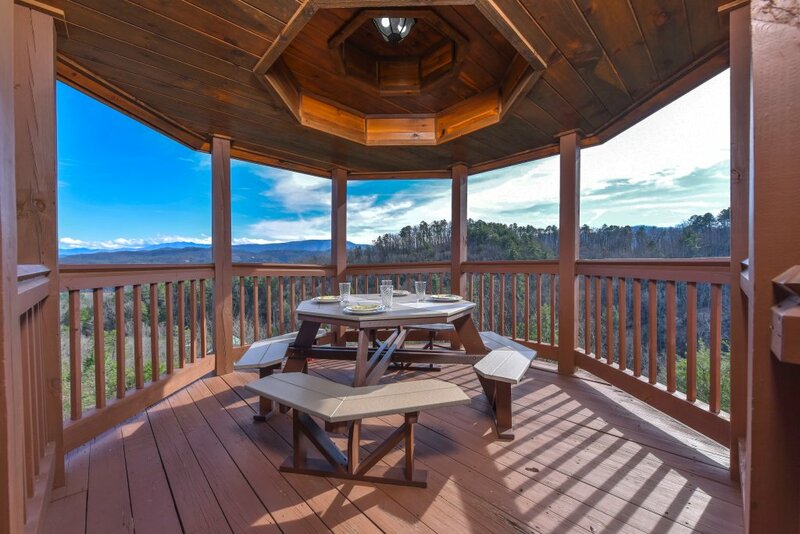 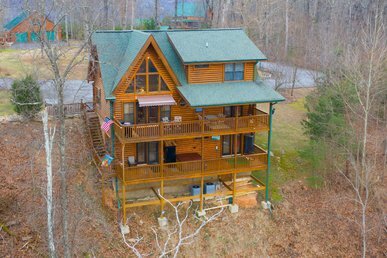 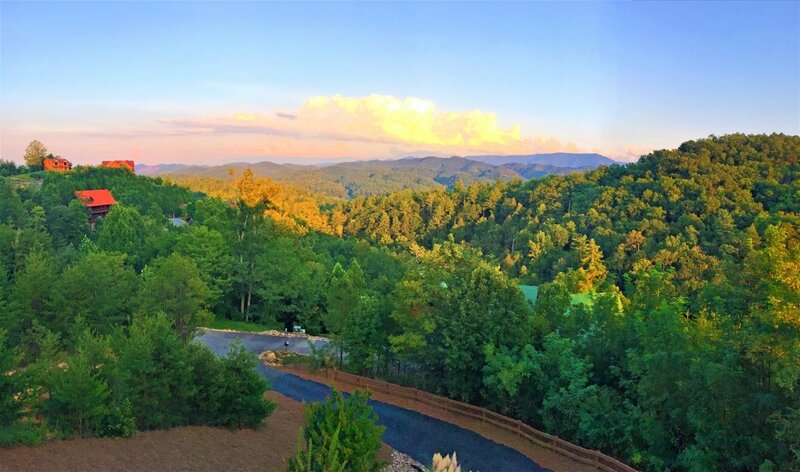 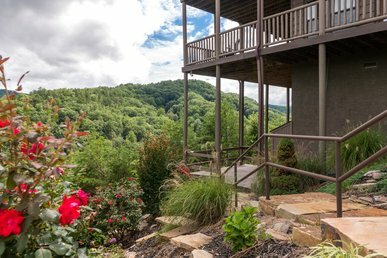 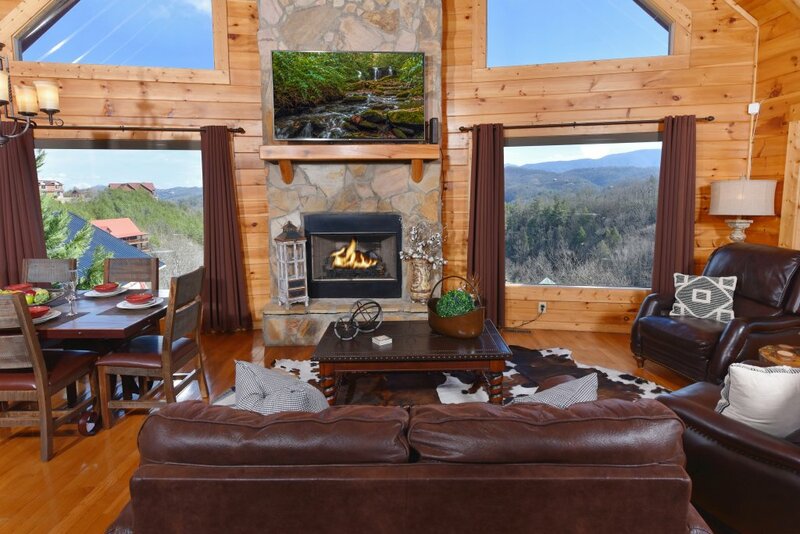 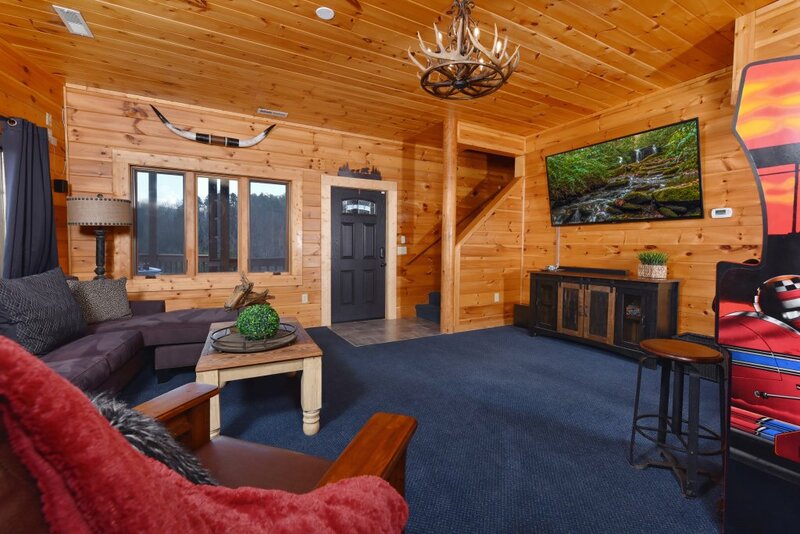 It's perfect location and setting, nestled at the top of 2 acres offers guests the full splendor of the Smoky Mountains. . 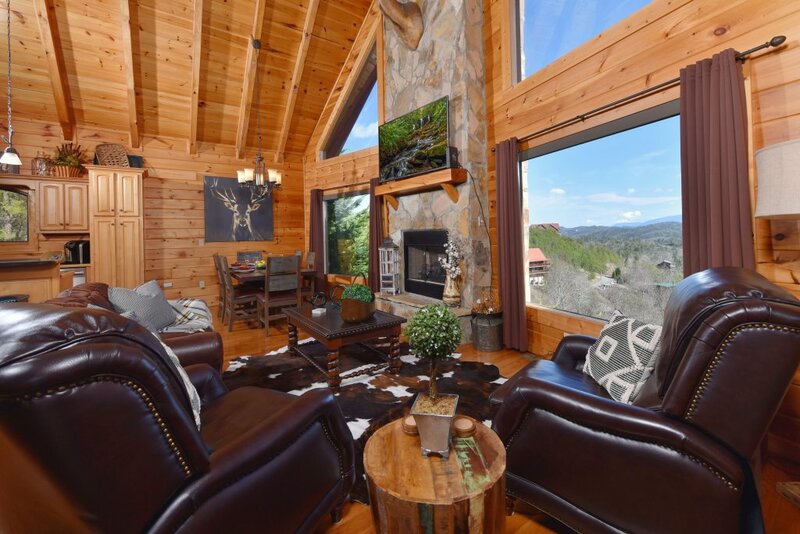 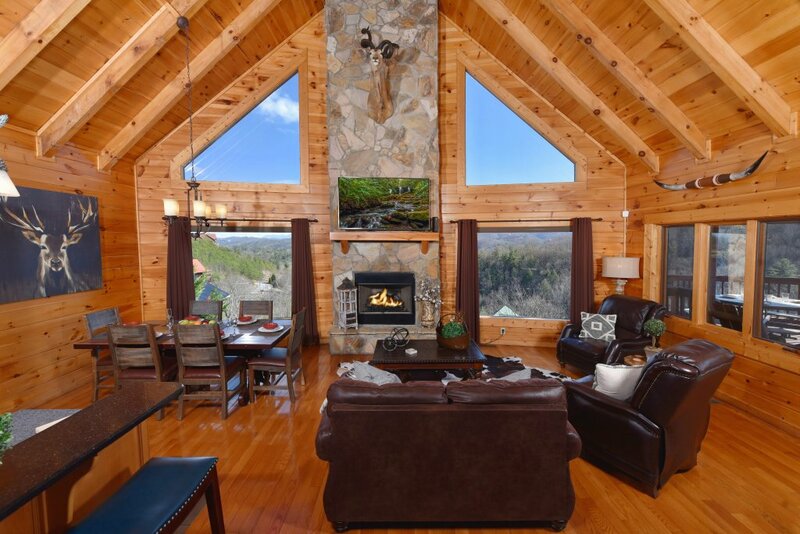 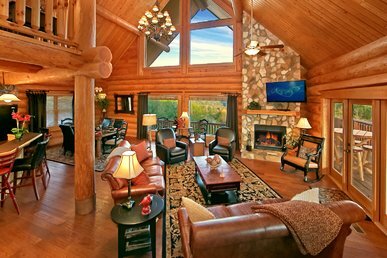 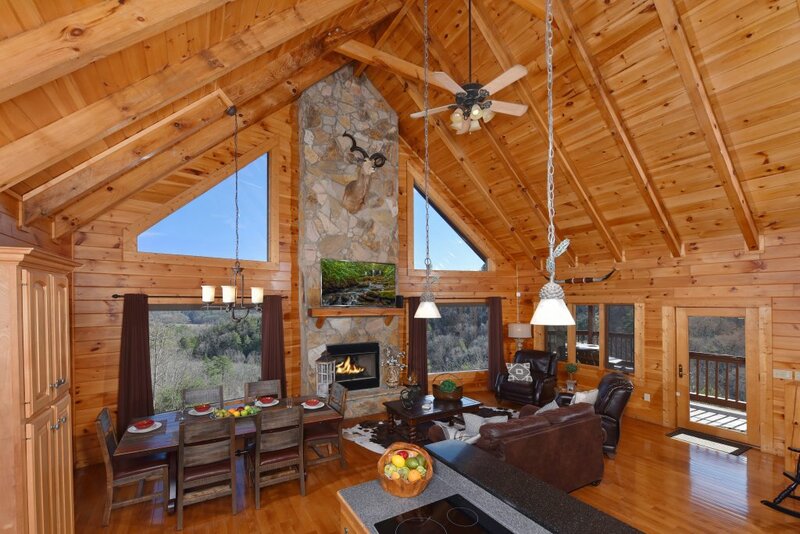 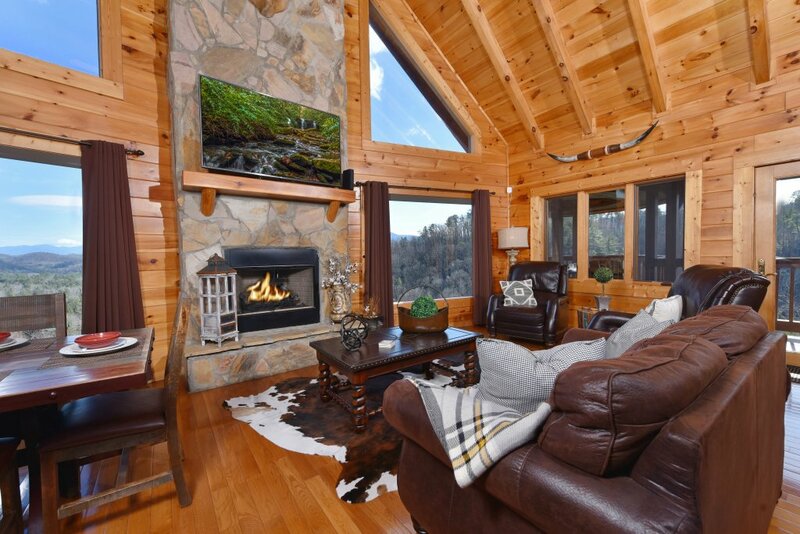 While you bask in a mesmerizing view and luxurious ambiance, Mountain Splendor showcases an open living area with a two-story natural stone fireplace. 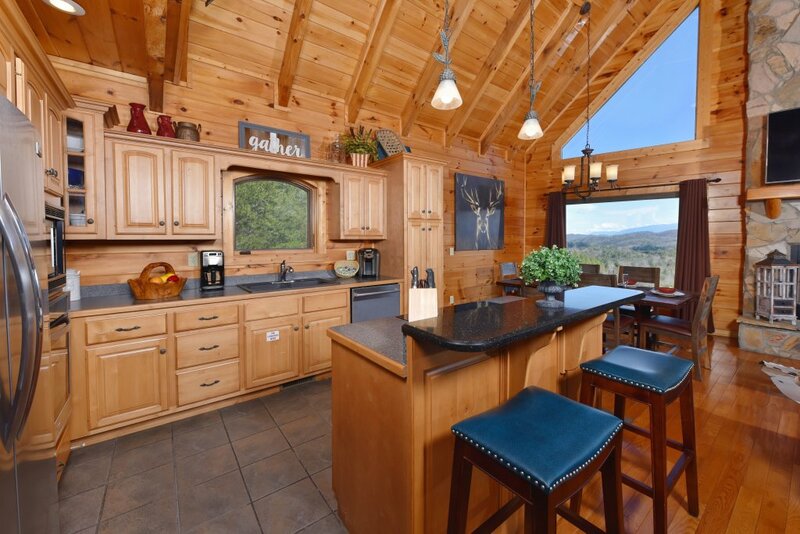 The kitchen is accented with a granite counter bar that seamlessly connects the dining area and great room, where you can enjoy a gorgeous view of Mt. 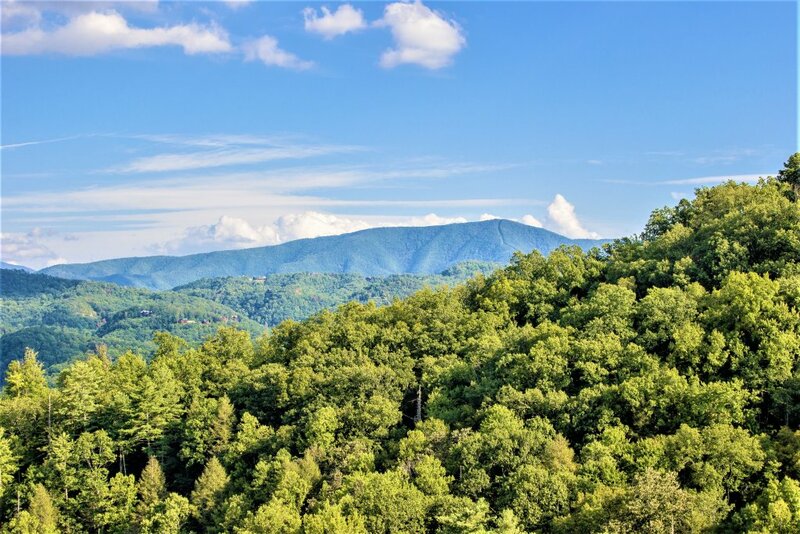 LeConte along the Great Smoky Mountains National Park. 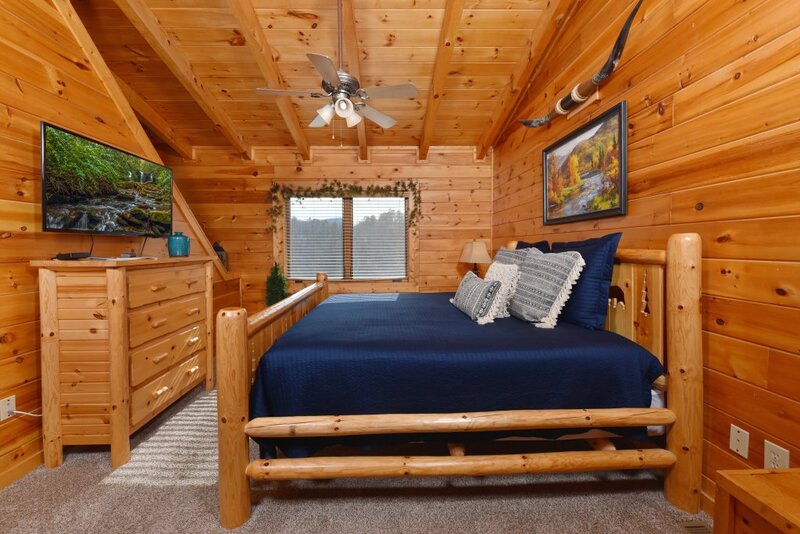 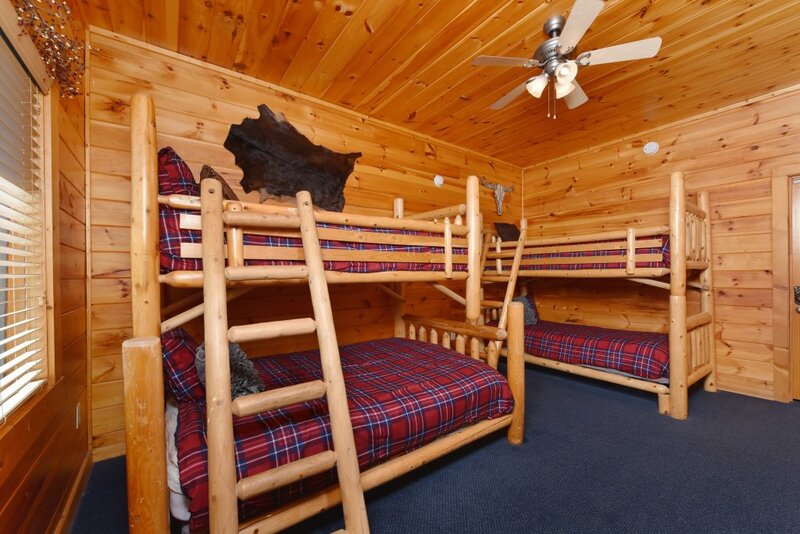 Guests will enjoy high-end furnishings and decor along plush bedding and many other top of the line amenities. 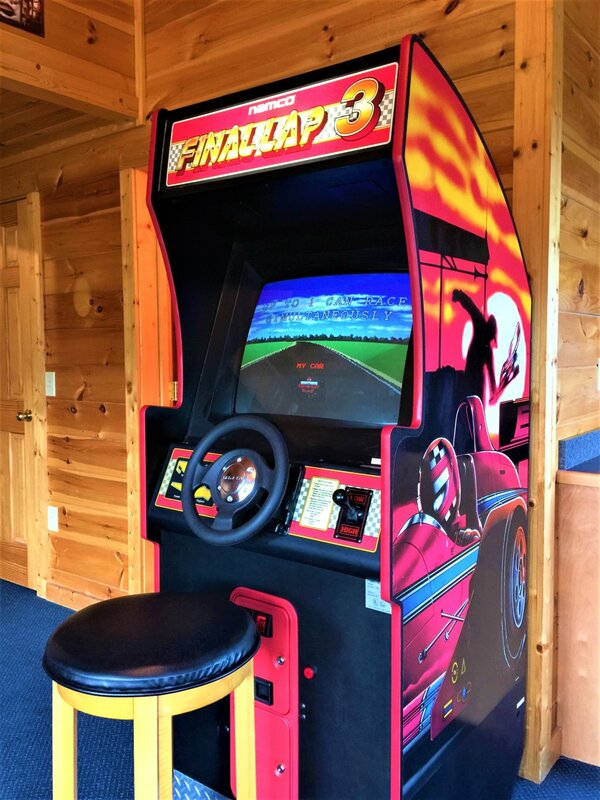 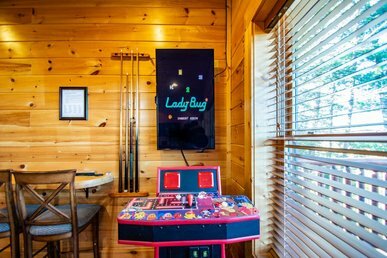 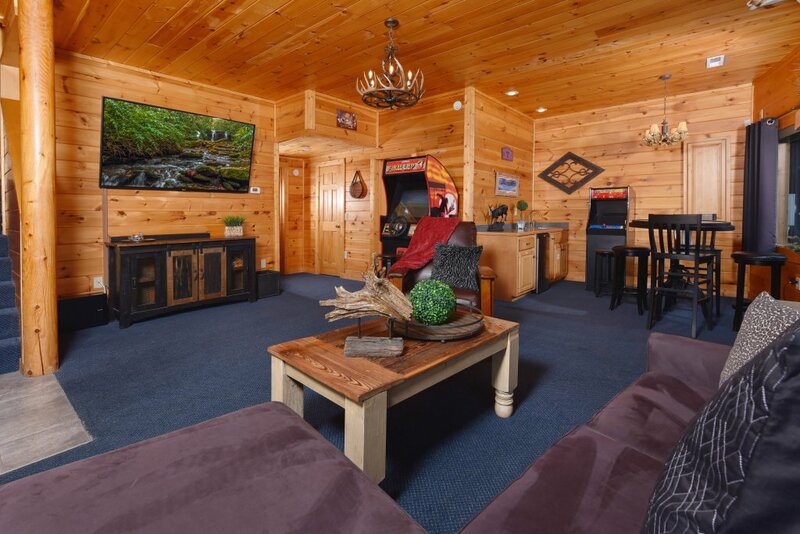 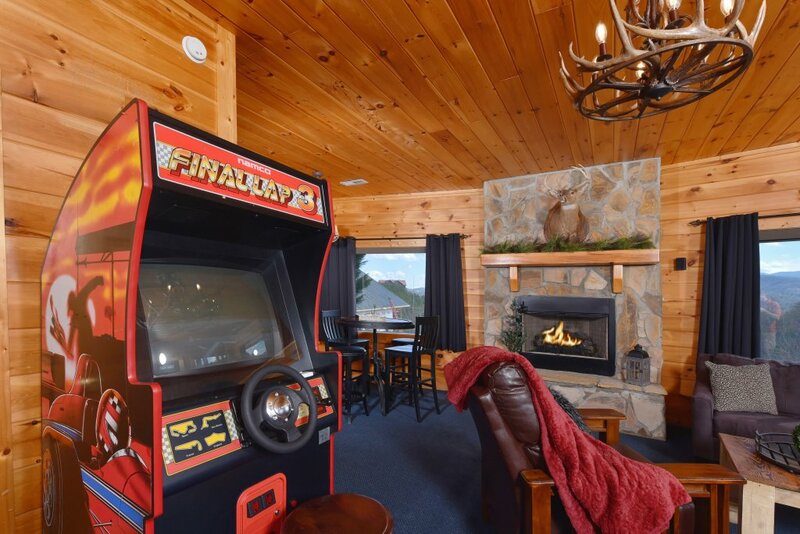 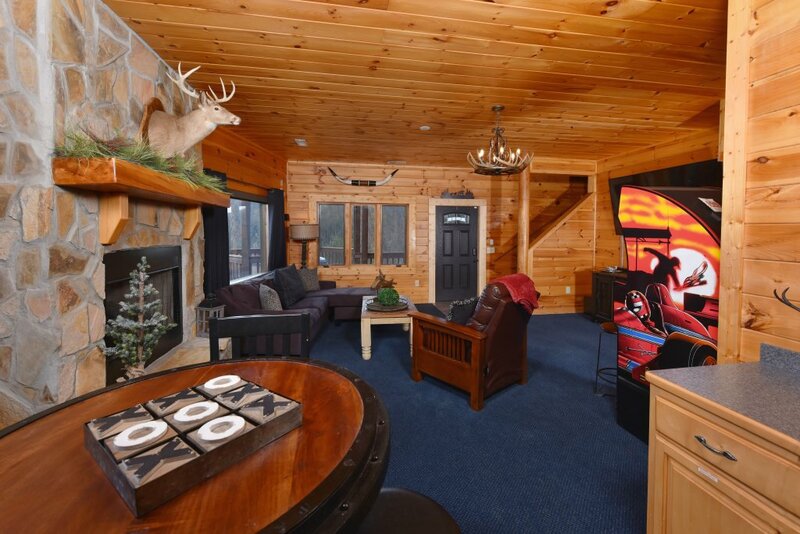 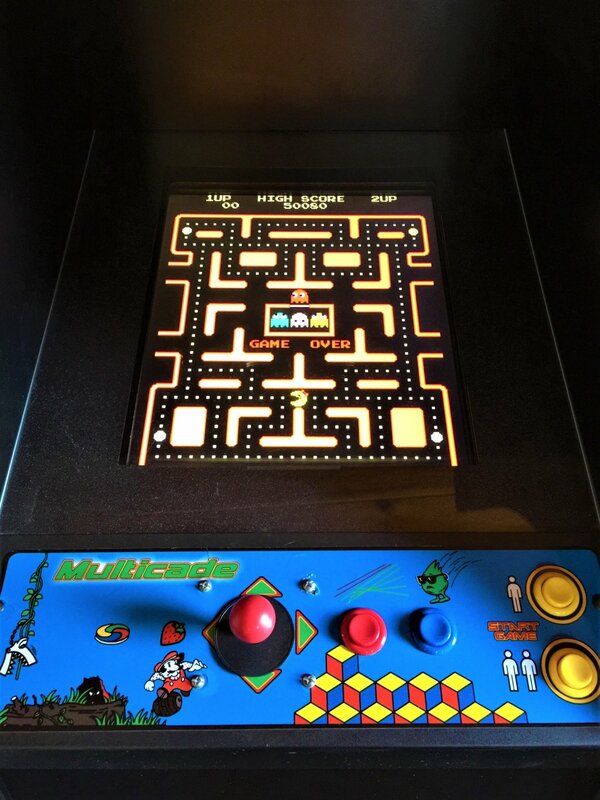 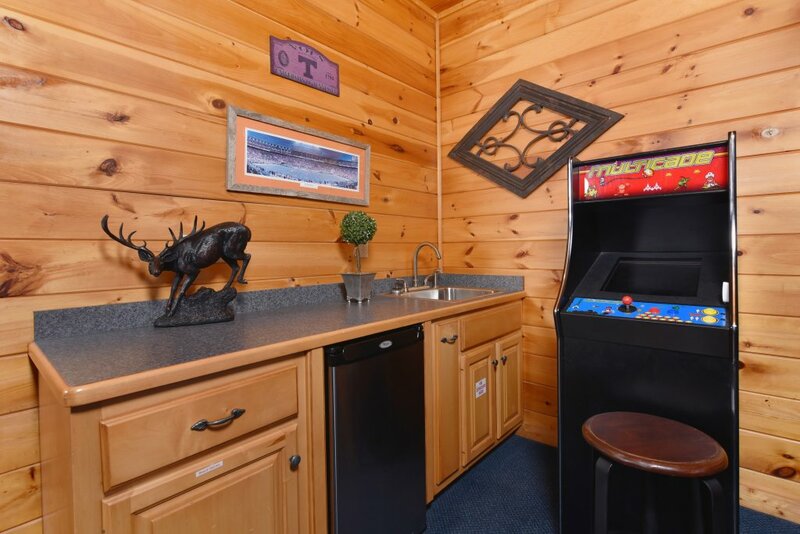 There's plenty of entertainment options for everyone, including the home theater with a 65" screen, a Blue Ray player, an Xbox, a multi arcade game, and an Indy driving game. 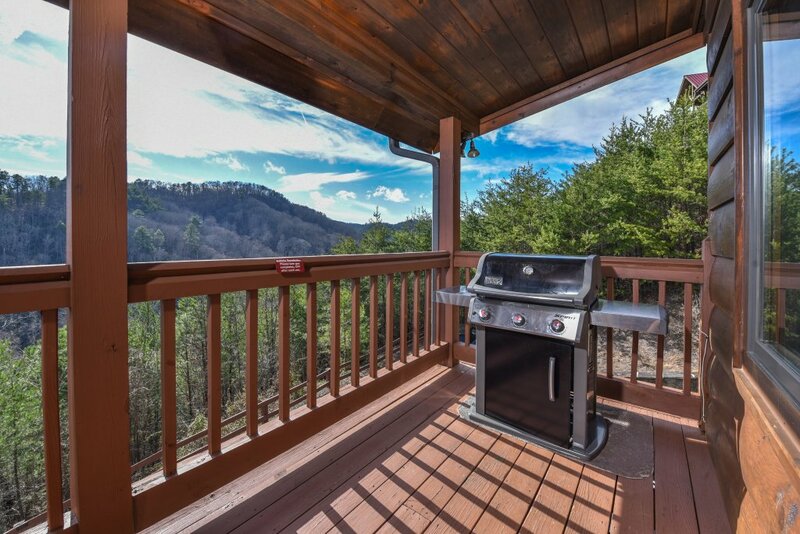 The upper deck is furnished with three log-style rocking chairs, a Weber gas grill, and cedar-planked picnic table for outdoor dining. 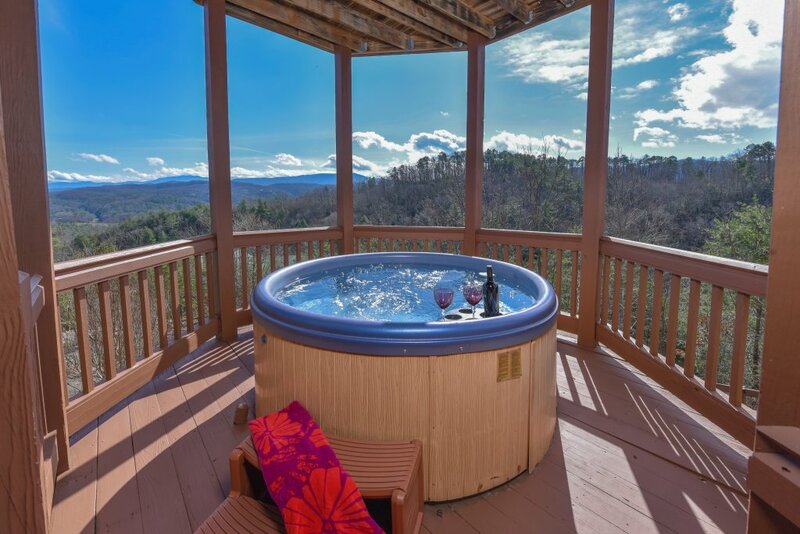 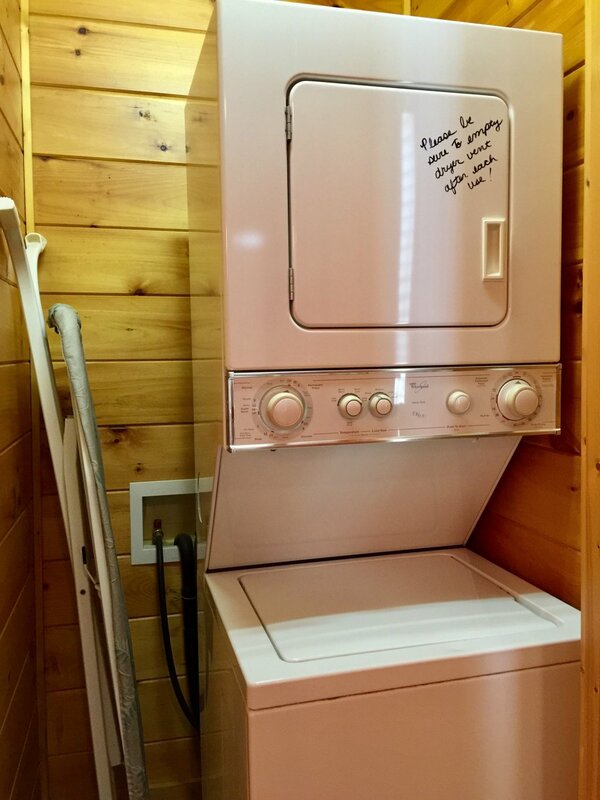 The entry level deck features a hot tub that comfortably seats 4 adults. 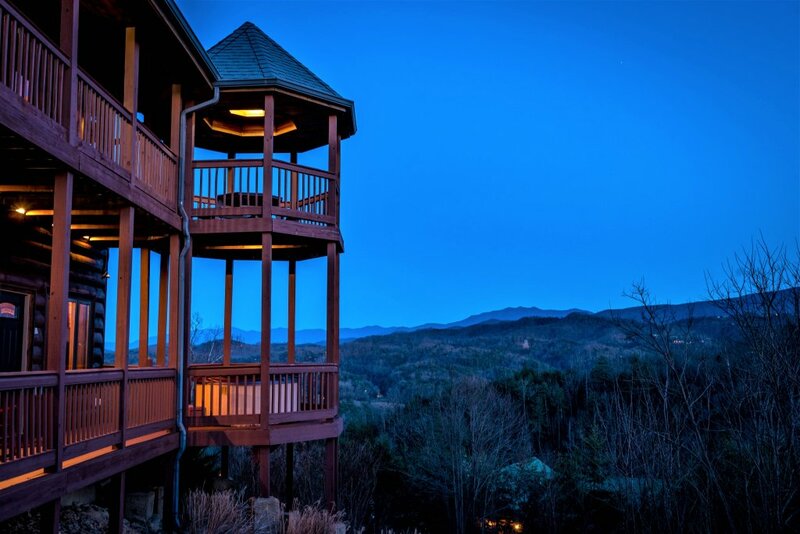 After a day of adventure, at Mountain Splendor you'll experience pure tranquility as you relax and gaze at the beautiful open star-lit sky! 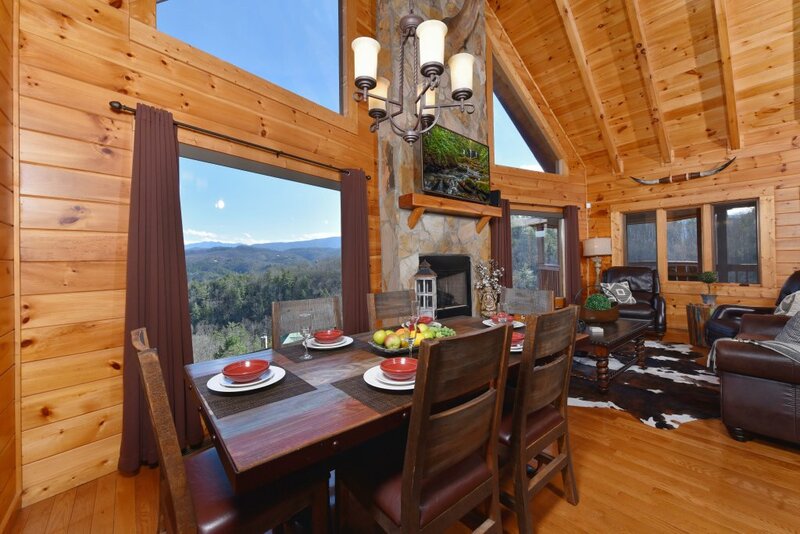 One thing is for sure, Mountain Splendor is the perfect setting and ideal backdrop to create family memories that will last a lifetime!! 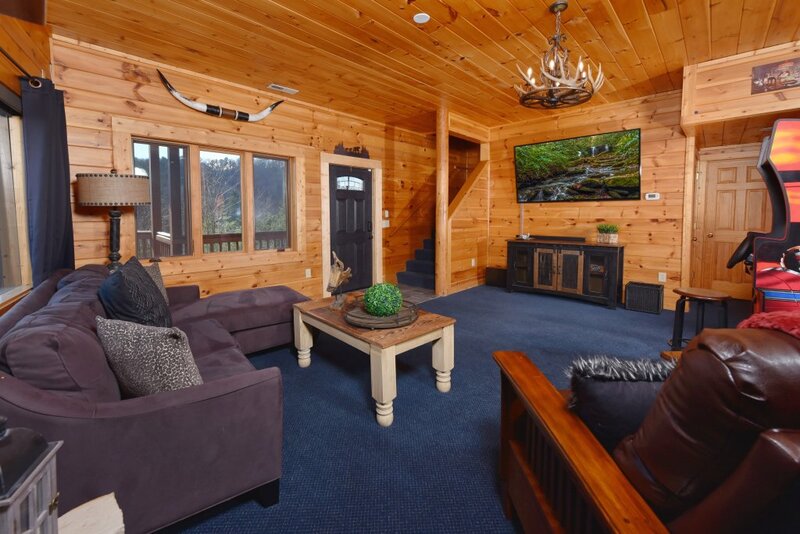 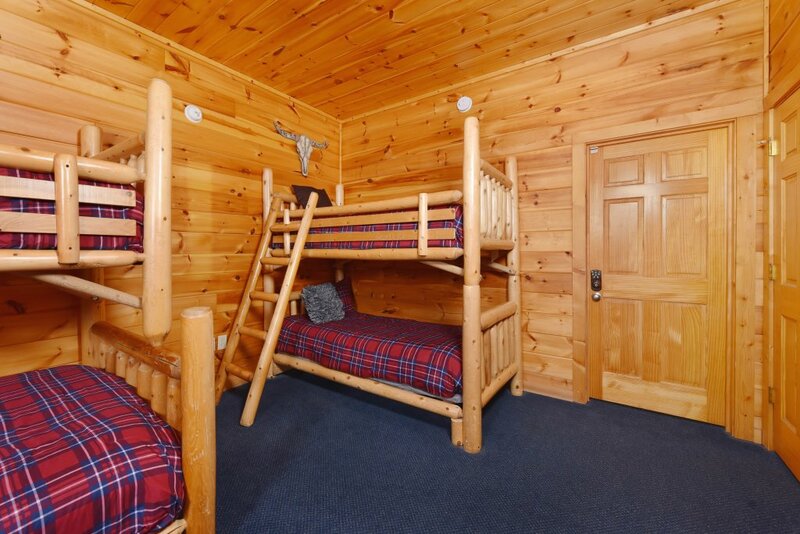 Host will issue a full refund of your 35% deposit, minus a $75 non-refundable reservation fee, if your reservation is cancelled 30 days prior to your arrival date (60 days for 4 bedroom or larger cabins). 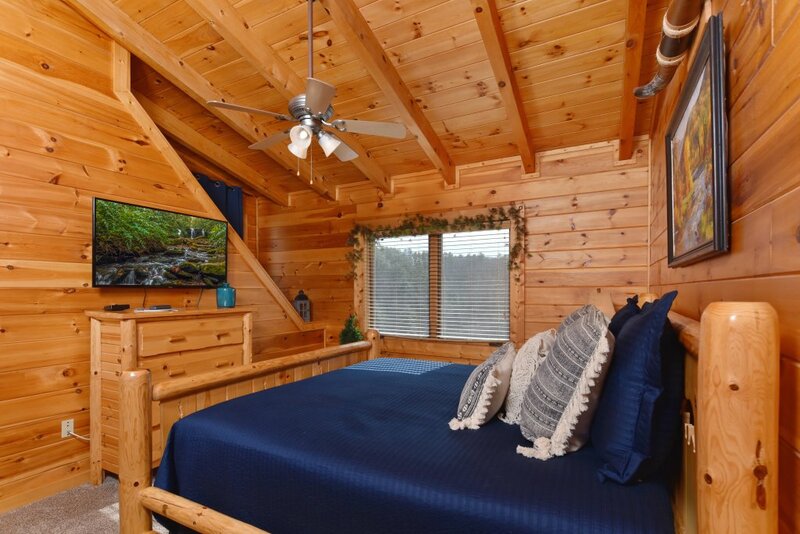 Deposits and fees for reservations changed or cancelled less than 30 days prior to your arrival date (60 days for 4 bedroom or larger cabins) are non-refundable. 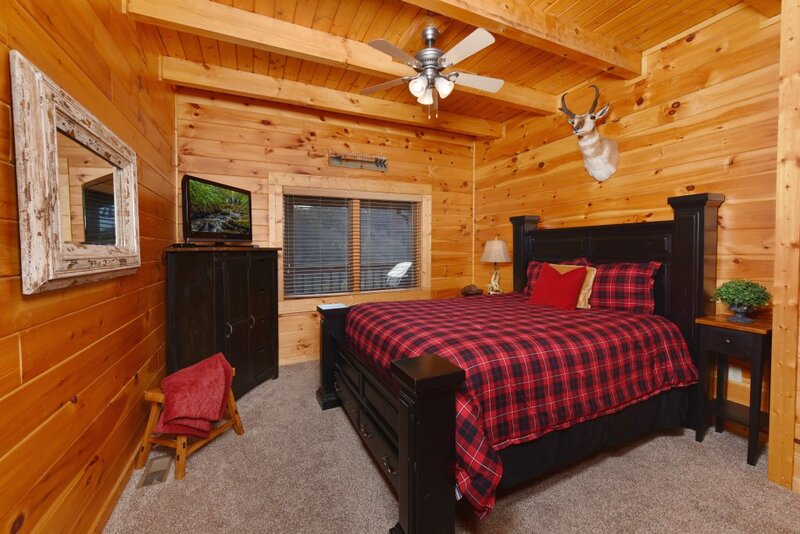 For cancellations within 10 days of your arrival date, the guest is fully responsible for the total amount of the entire stay, and the total amount charged is non-refundable and all monies paid are forfeited. 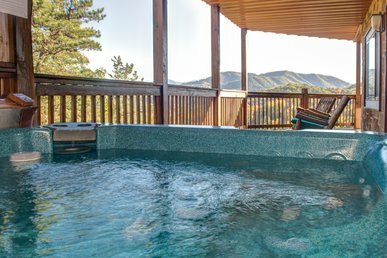 If host is able to replace the reservation with another booking at the same rate, host will allow for a 50% refund of the total amount paid. 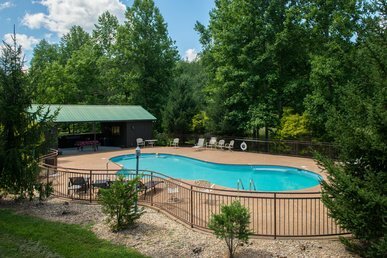 Only the guest named on the Rental Agreement may cancel a reservation, and cancellations must be made by phone or email. 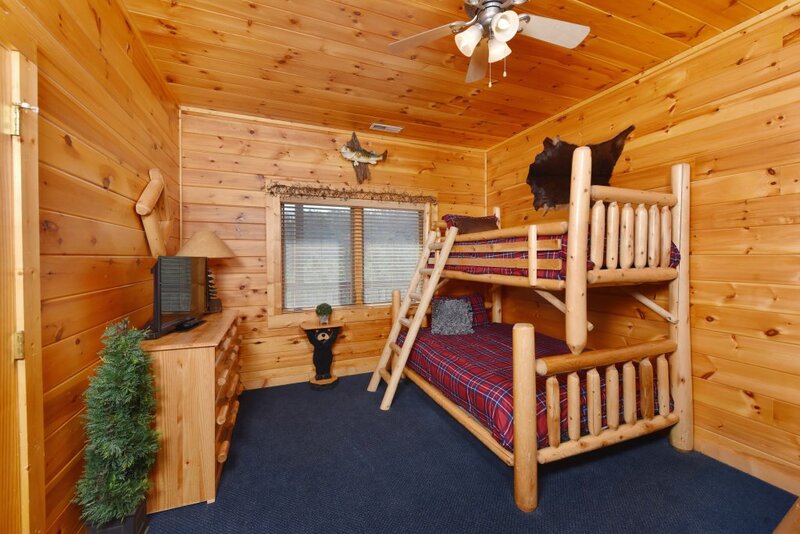 There are no exceptions to this cancellation policy.